There's no denying HTC's legacy as a smartphone designer and manufacturer. But it's having a hard time making money in the present-day world. HTC was making smartphones long before you knew it. Long before the HTC One. Long before Sense. Long before Android, and even before those of us who cut our teeth on Windows Mobile knew those three little letters meant we were going to get something special. For most of us, HTC as we know it started out as an ODM — an original device manufacturer — essentially a white-label manufacturer. HTC design, only with another company's name on the product. All the way back to 2002, back when XDA was a device and not a website (where did you think the name came from? 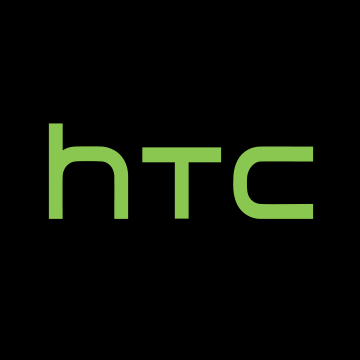 ), though HTC itself was born in Taiwan in 1997 as High-Tech Computer Corporation as a laptop manufacturer. A year later it got into the mobile business. HTC made the HP iPAQ and the Palm Treo. Shortly thereafter. In October 2009 it adopted the "Quietly Brilliant" slogan. It was the company that did great work, but wasn't flashy about it. The name "HTC" no longer was an insider secret. HTC skinned Windows Mobile with the far more attractive TouchFLO, which ultimately morphed into the Sense user interface we know today. The Windows Mobile-running HTC HD2 was a ridiculously large 4.3-inch device (hey, it was 2009!) that still gets hacker love today. HTC made the first Android smartphone, the HTC Dream — or the G1, depending on who you ask. It was the HTC Hero that brought us the first Android iteration of Sense. HTC made the first "Google phone," the Nexus One. Fast forward a few years, and we have the likes of the HTC One line, and Sense 6.0. That's not to say it's all peaches and cream for HTC in its current form. For as beloved as its devices are, the company is struggling to turn a profit. It has nowhere near the marketing budget of rivals like Samsung. (But who does, really?) And the "Quietly Brilliant" slogan has been retired. HTC is pulling no punches these days. Well, Android's VP of Engineering David Burke says the OG Pixels will be getting extended support due to popular demand. Check with Google support and see what they'll charge (although if it has a 2 year warranty , they'll replace the phone for free). If not, then check with a local repair shop. Survios is promising a boxing game you're going to want to play from launch day until the new Creed movie drops, and I believe them. Then I guess I'm golden. Thanks!